Strategic planning at Michigan State occurs in an integrated fashion across academic and non-academic units and takes into account long-range and yearly needs. Long-range planning is guided by MSU's Mission Statement and Bolder by Design strategic framework. On an annual basis, all academic colleges, academic support units, and administrative units participate in an integrated planning and budget process. 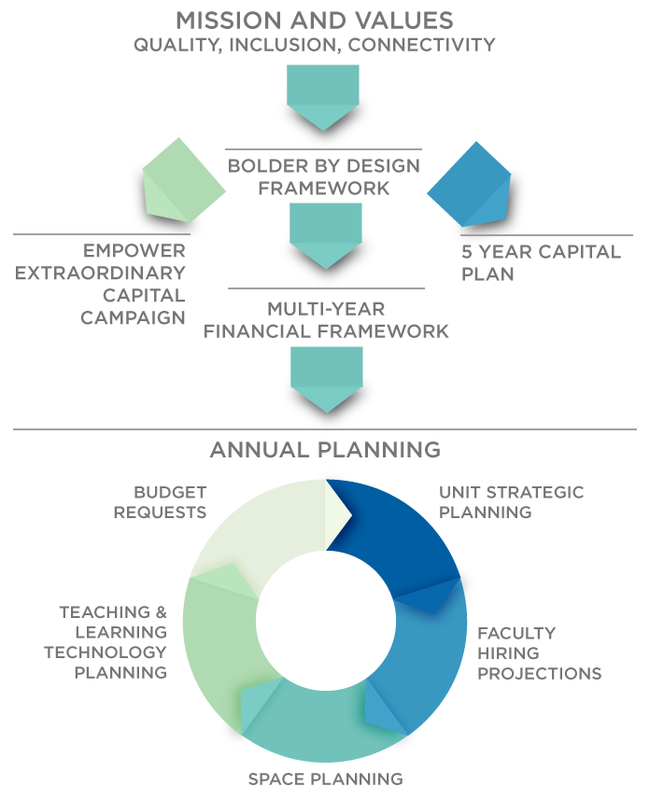 In the fall of each year, units outline current and expected plans and alignment with the university's Bolder by Design framework. In the spring, units submit budget requests linked to their fall plans. Additionally, throughout the academic year, technology planning through the TLE process, space planning through Facilities Planning and Space Management, and research startup needs are considered within the context of units' fall and spring planning and budget materials. For a more detailed overview and timeline of planning and budget activities, view the PDF.